Special Orders - Allow 1-2 Weeks to ship. Choice of Mounting Hardware: Shed Roof Mount, Garden Stake or Cupola Rod (feet for cupola rod sold separately). 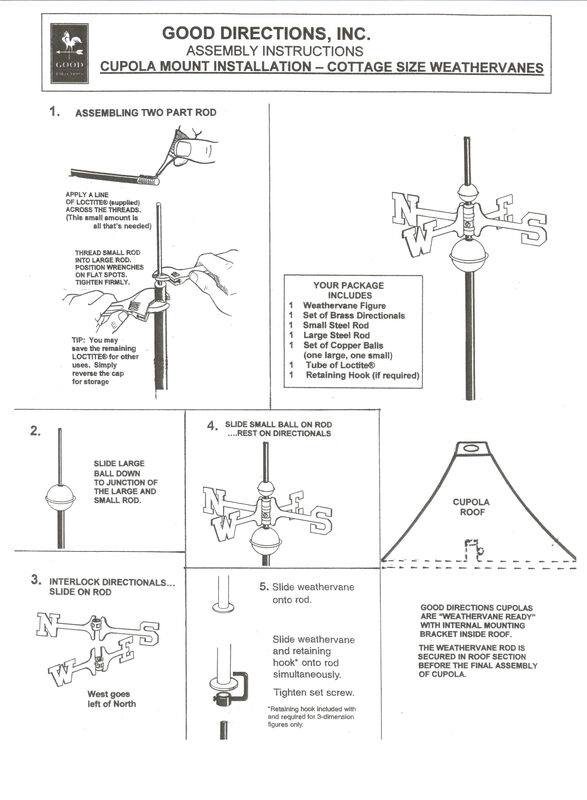 Download instructions if using a garden weathervane on a standard cupola. 13 ounce Lacquer: Protects and maintains polished finish of Copper & Brass. Item may vary from picture.